Good morning and thanks for dropping by. 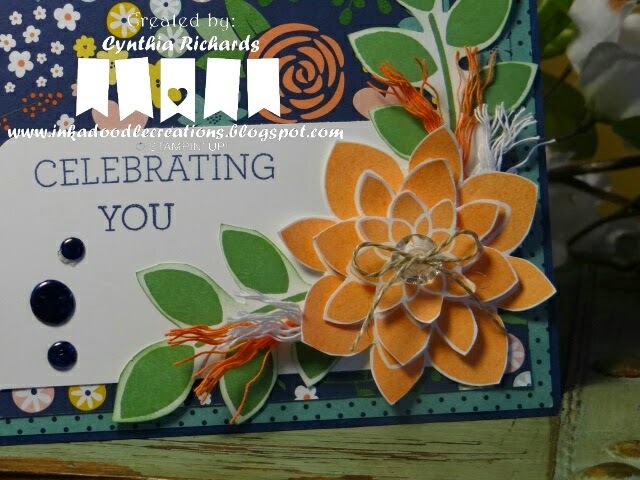 Today I am over at Stylin' Stampin' INKspiration where today we are sharing projects created from things that inspired us from Pinterest. As I was browsing thru some of the boards that I enjoy following, I came across this set of blueprints from My Favorite Things. It was a great set of sketches and I knew right away what stamp set I wanted to use for it. I really enjoy the new stamp set "Crazy About You" from the new SU! 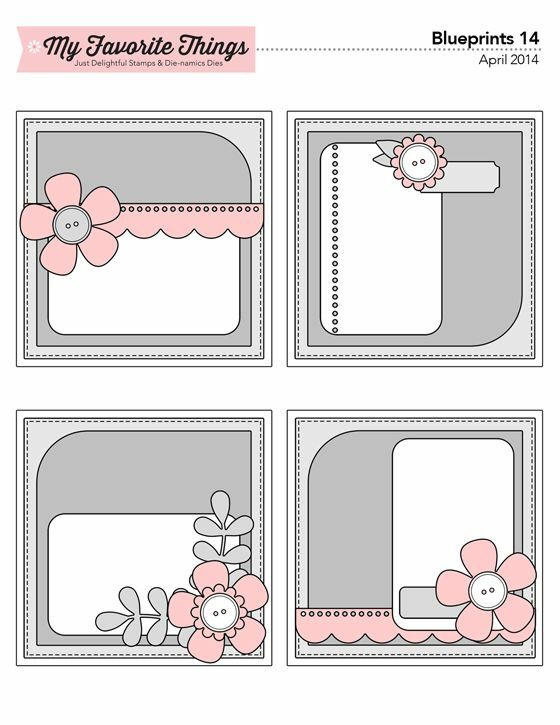 occasions catalog because it has tons or words that you can use to create your own phrase and the flower that comes with it is adorable. This just happens to be my first Mothers Day card out of the way. One down, one more today! 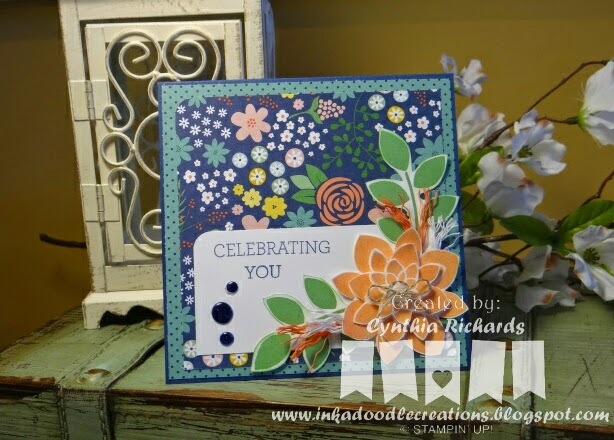 I stamped three times the flower in tangerine tango and cut it out in three pieces to layer with foam dots. I added a clear button with a natural twine bow to the center. I added three different sized dots I created using crystal affects and colored with the dark shade of night of navy blendabilities.